Shawn Smucker. 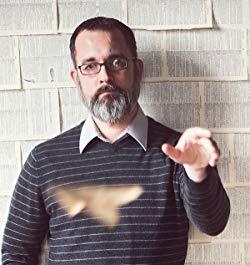 Shawn is the author of two teen novels in his Tree of Life series The Day the Angels Fell and The Edge of Over There, as well as writing and co-writing numerous books for adults. While Shawn has had several author events at Aaron’s Books, this is his first Lititz Kid-Lit Festival.